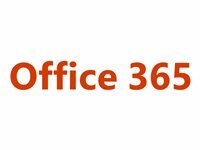 Microsoft Office 365 has the applications you know, always up to date and accessible from virtually anywhere. Think of it as your familiar Office, only better Office 365 is the same Office you already know and use every day. And then some. Because Office 365 is powered by the cloud, you can get to your applications and files from virtually anywhere - PC, Mac, and select mobile devices - and they're always up to date. Same goes for updates to features - you get them automatically. Business-class email and calendaring put you in sync Avoid communication glitches. Business-class email and shared calendars that you can get to from virtually anywhere means people stay in sync, and on schedule. Online conferencing puts everyone on the same page With online conferencing, distance really isn't an issue. Need to get everyone together? Host an online meeting complete with real-time note taking and screen sharing. Extend your reach with simple, more secure file sharing Office 365 makes it easy to more securely share files with co-workers, customers, and partners. Work together on documents that are always current and accessible from virtually anywhere. Build your online presence, minus the hosting fees More effectively market your business with a public website that's easy to set up and update. It's DIY with online tools and absolutely zero hosting fees. One familiar experience, even on the go Office 365 mobile apps let you view and edit your Word, Excel, and PowerPoint files and more on your mobile device. And when you get back to your desk, there they are - content and formatting intact. Create docs from any browser With the touch-friendly applications of Office Online, you can create, edit, and share your Office files from any browser. You can even share and work on docs at the same time as others and avoid versioning hassles later.